1. Your eyesight. Make sure you have regular eye exams and that you're wearing your glasses or corrective lenses when walking or exercising. 2. Your blood sugar. Low blood sugar may cause dizziness and incite a fall. Checking before and after exercise may reduce your risk. 3. Your nerves. Diabetic neuropathy - which is characterized by a loss of sensation in the feet, hands, legs, or toes - can lead to balance problems. Neuropathy can also affect how well you feel temperatures. 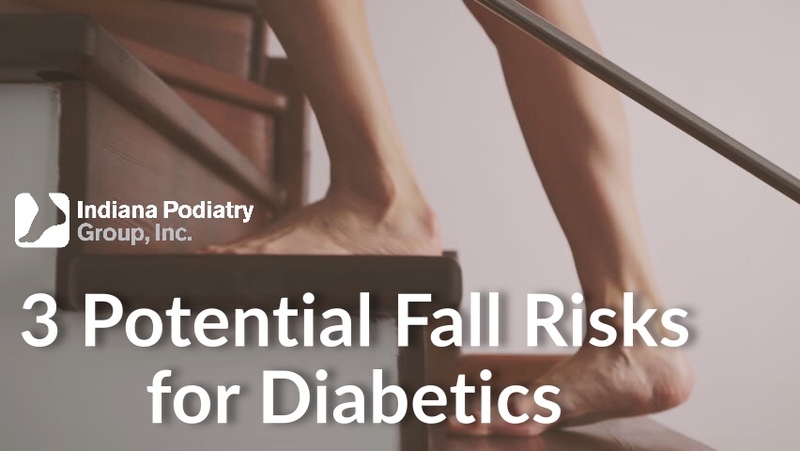 You might need medication or a specific treatment plan for diabetic neuropathy, but don't leave it unchecked - it can cause permanent damage if left untreated. Posted on 11/08/2017November Is Diabetes Awareness Month, Diabetes and amputation.